The Best Shark Dive in the World! : Tourism Sustainability! Multi-awarded: Best Dive Shop 2006 + Tourism Sustainability 2012 and 2015! Then it happened right on the verge of Winston and it was really not appropriate to dwell - but I really owe it to the staff, and to our many friends and supporters who have chosen to undertake this long and often arduous journey with us, to say a word or two. Yes we've done it - again! We were short listed in December and then declared finalists shortly before the ceremony, so it did not come as a complete surprise; but we are certainly thankful, honored and humbled by this recognition. Together with our past awards, this quite possibly makes us one, if not the most locally awarded Fijian dive center, ever! the efforts and contributions made by individuals and organisations who have successfully implemented environmentally sustainable initiatives, demonstrable by long-term commitment and performance. It also recognises the promotion, development and engagement with the Fijian people and operators understanding of Fiji’s Green Growth Framework. First and foremost, the establishment of Fiji's first National Marine Park after more than ten years of advocacy. The development of Fiji's first biggest and most successful Shark-centric volontourism program together with our partners of Projects Abroad. And let me add: Beware of cheap imitations! 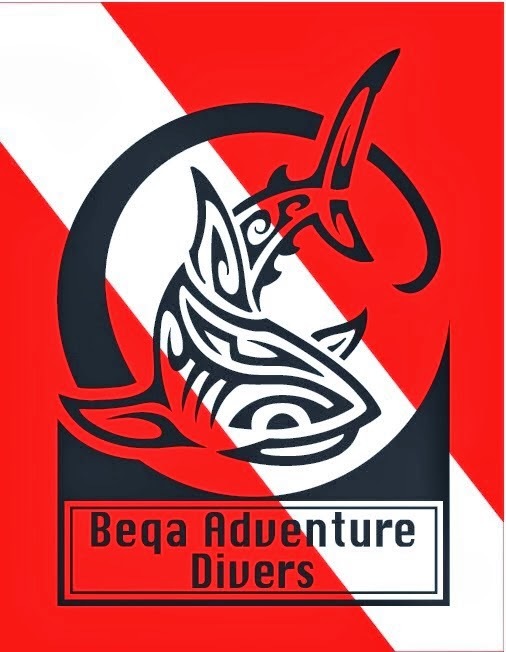 The co-founding of Global Shark Diving, the world's first, only and obviously best alliance of responsible conservation-minded Shark diving operators. Plus we've of course continued the ongoing sustainable tourism and conservation work inclusive of more research and more stellar research papers by Juerg, with new and exciting initiatives coming soon! In brief, the recipe for our success is that we DO things - as opposed to all the whinging and announcing of some quarters! Having won automatically means that the Barefoot Collection who were vying for the same award have fallen short. These are really good people doing remarkable ecotourism and conservation work in the Yasawas, and we are proud to be cooperating on several projects with them. If you can, do pay them a visit - especially now after Winston where everybody here is thankful for every tourism dollar! great news, i have been reading your blog for quite a while now, love the way you blog about sea, sharks and more. i will visit you guys next year.